Kian Ansari is a multi-disciplined designer focused on identity systems, spatial installations, and printed matter. Currently a designer for SYPartners. Suspended Liberty is a critique on the American criminal justice system. The book utilizes 6 separate models of correctional architecture, from past and present, to reflect society's determination as just punishment for those forbidden from practicing equal rights. The Suspended Liberty installation is an immersive experience that surveils the individual as they navigate statistics of the American criminal justice system within a 6'x9' projection; the same size as a 3–man cell in San Quentin Prison. Based in Shiraz, Iran, the Shiraz Arts Festival is a celebration of Iranian musicians, directors, and artists who were forced to leave the country due to the 1979 revolution. This conceptual festival intends to bridge both conservative Iran with its more liberal native citizens in an effort to rejuvenate arts and culture within the borders. Works by Kian Ansari. Contributed works by Dante Carlos and Austin Redman. The works in this exhibition use mass printmaking as channels to communicate power, intimidation, fear, and demagoguery. An intersection between repetition and propagated thought is demonstrated to exploit the patterns of propaganda that have been successful in the past century and will continue to be in future mediums. Brutus is a Chrome browser extension that connects you with experiences in the San Francisco Bay Area tailored to what you’re browsing right now. In a pop-out window, Brutus shows you activities — familiar and unexpected — related to the topic(s) you’re reading about. Sign up for a dim sum cooking class or get tickets for a talk on cutting the carbon footprint of food. Discover opportunities inspired by your moment without ever leaving the page you’re browsing. Cedars-Sinai Medical Center is the top ranking healthcare network in Los Angeles, CA. 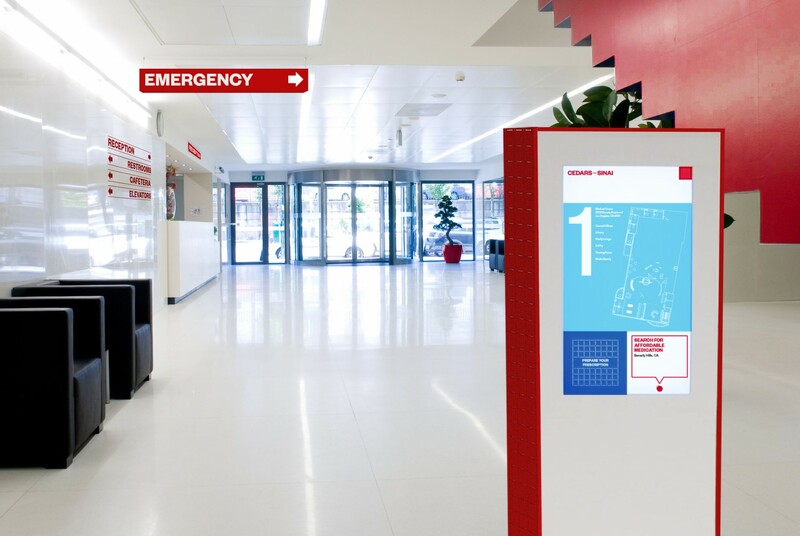 This identity project reimagines a stronger patient/doctor experience through a redesign of core brand elements, digital platforms, telemedicine, and an on-campus interactive kiosk system. The Cedars–Sinai interactive platform consists of two parts. The first is a campus wide, interactive kiosk system that allows patients to check in to appointments, view a campus map, check affordable prescription prices in local neighborhoods, and sync their cellphones to access an augmented navigation throughout the campus. The kiosk was built with an RFID reader placed on its side and can be triggered with a reimagined, RFID equipped, silicone patient wristband. Title and credit cards for Eye for an Eye. Marco Prestini's Eye for an Eye is one of the 10 editorial fashion films commissioned by Vogue Italia and Fashion Film Festival Milano for the project “Through My Eyes”. With this interactive film, Marco Prestini explores the world of Gucci. The film premiered during the Vogue Fashion Night Out in Milan in the streets of Via Montenapoleone and was then screened, out of competition, at FFFMilano 2016. Polluting America is an interactive data visualization that consists of CO emissions data from almost 55,000 American businesses in 2008. All data was collected by the EPA and is public information. The EPA collects CO data every two years and has been for a little more than a decade. The hypothetical Nasa Skylab kit is an exterior packaging for a Galileo telescope (Galileo), dry frozen ice cream (Astro Bites), and a 25-inch model rocket kit (Pioneer). The packaging is 3-D printed, the tube is made from starch and the cap is made from FDM. On September 12, 2015, Art Center hosted TEDxACCD. Under the theme of Systems by Design, our TEDx studio team of 23 students at Art Center dedicated a course specifically to the preparation and execution of the event. The team of multidisciplinary design students was broken up into separate groups including graphics, environmental, and outreach. As user interface designer, I designed the webpage and other digital media communication. I also developed and designed the outdoor TEDxACCD sculpture for the event. Typography Past/Present/Future is the introductory exhibition for the Hoffmitz Milken Center for Typography at Art Center. As a group, we designed the exhibition to celebrate over 100 years of typography and the channels in which we communicate language. The space is divided into 10 decades, each emphasizes events of historical importance both typographically and culturally.